10GbE SFP Switch vs 10GBASE-T Switch: How to Choose? As we know, 10 Gigabit Ethernet network is the trend of the present data centers. 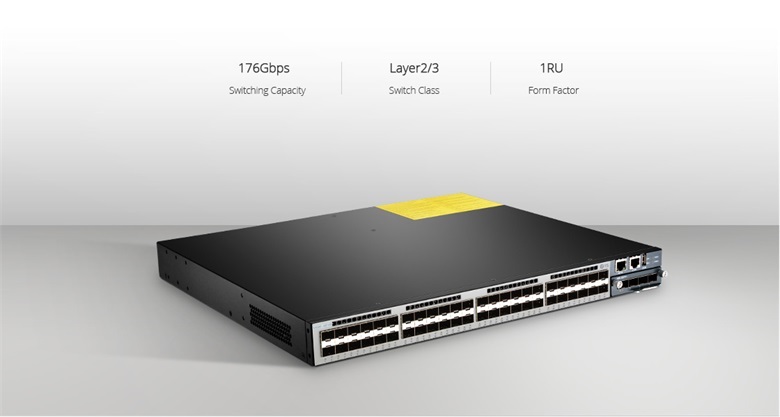 For 10GbE switch solutions: 10GbE SFP switch and 10GBASE-T switch are the two choices. How to choose the most appropriate and the best 10G connectivity solution? And could it be able to support data center deployments and acclimate trend concerning current situation and the future? In order to clear things up, this article will respectively discuss 10GbE SFP switch and 10GBASE-T switch network solutions. 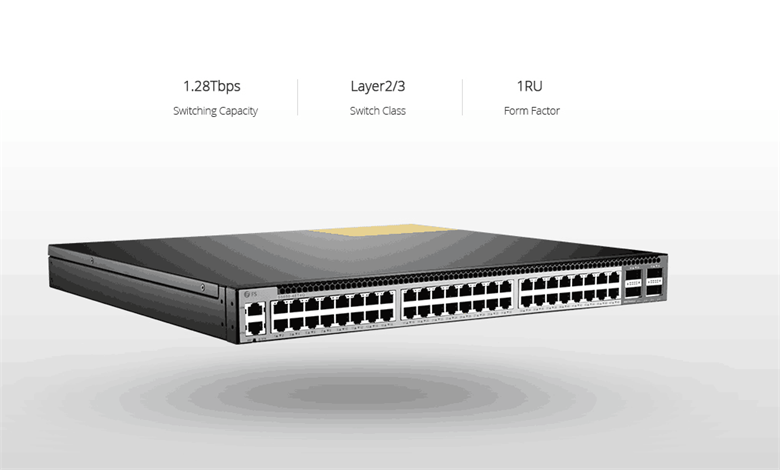 With the performance of superior throughput and latency, 10GbE SFP Ethernet switch is a cost-effective solution compared to Gigabit network switch. By reason of the attractive improvement in bandwidth, port density and reduced power consumption, the 10GbE SFP switch has become the choice for latency sensitive application. During different switches of various port configurations, a 48 port 10GbE SFP switch is the most future-proofing one with abundant applications in business oriented network that can lower the overall infrastructure costs in the aspect of cables and switch ports. FS S5800-48F4S SFP switch with 48-port 1GbE SFP and 4-port 10GbE SFP+ in a compact 1RU form factor is particularly aimed at solving the problems of access to core 10G network connectivity for businesses and data centers. 10 Gigabit Ethernet switch over copper cable addresses bottleneck problem and creates great ROI and performance since it is fully backwards compatible with 100/1000BASE-T and works with existing structured cabling systems, providing IT technicians the most flexibility in server placement. Take FS S5850-48T4Q switch as an example, it comes with 48 10GBASE-T Ethernet ports, 4 40GE QSFP+ Ethernet ports and management & Console ports (RJ45). 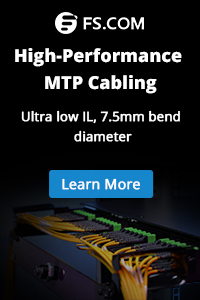 All the 10GBASE-T copper ports can auto-negotiate and communicate effectively with legacy 1Gbit/s and 100Mbit/s server connections that are cabled with Cat6 and Cat6a cabling. 10GbE SFP Switch vs 10GBASE-T Switch: Which Is the Best 10G Network Solution? As the basis of upgrading network, 10G network has been omnipresent in data center, enterprise network and even home networking. As for two different 10G network solutions: 10GbE SFP switch vs 10GBASE-T switch, which one would be better? The cost reduction of 10GBASE-T technology in the past years has made the usage of SFP+ become an additional expense of adapters for the servers. By contrast, the cost of 10GBASE-T ToR switch is 20% to 40% less than that of SFP+ ToR switch. So 10GBASE-T is much cheaper and provides the most economical solution than SFP+ solution. 10GBASE-T owns the advantage of being an interoperable and standards-based technology that uses the familiar RJ45 connector. It provides backwards compatibility with legacy networks. While SFP switch is limited with little or no backwards compatibility. The power consumption of 10GBASE-T switch is 1.5 to 4 Watts per port depending on the distance, while SFP switch uses less power consumption which is typically less than 1 Watts per port. 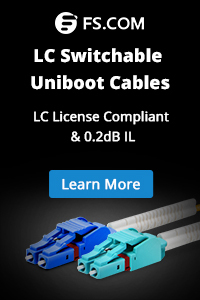 What is more, SFP switch offers better latency with about 0.3 microseconds per link. 10GBASE-T latency is about 2.6 microseconds per link due to more complex encoding schemes within the equipment. With lower power consumption and latency, 10GbE SFP switch is fitted well for large high-speed super-computing applications where latency is a critical factor and high port counts can benefit significant power savings. When you have to choose between 10GbE SFP switch vs 10GBASE-T switch for the best 10G network solution, the decision should be based on your real need. In general, for equipment that power consumption and lower latency are crucial, a 10Gb SFP switch might be more suitable. However, if cost, flexibility and compatibility are more vital, you may consider a 10GBASE-T switch. Both of them should find an appropriate place in the future of network design and practice. This entry was posted in Enterprise Network and tagged 10GbE switch, network switch, sfp switch. Bookmark the permalink.